When I found that over 160 reviews had been written about Beverly Lewis and David Lewis’s recent novel, Child of Mine, I wondered if one more review would be needed. What could I possibly add? Indeed, this is an intriguing story! Many a book by Beverly Lewis has kept me captivated, however the addition of her husband David Lewis changed the complexion of the writing of Beverly just a skosh. This pair added several dimensions I had not noticed in other Beverly Lewis publications. The authoress Lewis has written exclusively about Amish, but there was only one tie-in Amish person in this story, Laura, which will be explained momentarily. For instance, I was caught up in the mystery involving a kidnapped baby Emily by her druggie of a daddy and sold to the black market. His drug overdose following this inhumane action was well deserved, in my estimation. However, the long eight year search for her daughter, made a bit easier through funds from a compassionate couple and a private detective, was exhausting and led nowhere. The story begins with Kelly Maines resorting to tricking an eight year old girl in an attempt to get her DNA, only to find the child not to be Emily. Of course, the hunt continues. Next, we are introduced to Jack Livingstone who is a flight instructor and owner of Higher Ground. Jack, a bachelor, is raising his 8 year old niece since a tragic accident that took both lives of Nattie’s adoptive parents. He depends on Laura Mast, a shunned Amish woman, to help raise Nattie. Then we have San, Jack’s sister, who bedevils him all the time about finding a wife. He dates a few women, but fails to find one he could fall in love with. Enter Kelly Maines, who is immediately attracted to Jack and especially to Nattie. A love relationship begins between Jack, Kelly….and Nattie. In the meantime, why was Laura shunned? We learn of Jack’s childhood – is this the reason he can’t trust women? Kelly begins to see things from a different spiritual light. Their relationship grows and suddenly changes to disaster. Is Jack in love with Laura? Jack wishes there could be romance for them – but finds he pushes Laura far away. How far would Kelly go to find out if Nattie is her child? My opinion is perhaps prejudiced, because I have three adopted children and I would go the lengths for each of them. This story hit close to my heart. It details every emotion possible on both sides of the story. There is mystery – written in clean beautiful lines. Nattie is adorable, however precocious at times, possibly due to high intelligence and living with grown-ups. The story is a bit long, but I couldn’t stop thinking about it after finishing the book. Of course, this reviewer skipped over all the flowery words felt while reading this exclusive story, because I only wanted to hit a few of the high spots to interest the readers. Anyone who has not heard of Beverly Lewis and her exceptional writing, just is not a reader. There is another author I have added to my list – David Lewis – who did a wonderful job of co-authoring with his wife. I hope to see many more fascinating books written by this dynamic duo. The ending is not as predictable as you might think. God does work in mysterious ways – as shown in this emotional story of Child of Mine. His grace is sufficient, indeed. I received this book free from Bethany House Publishers in exchange for an honest review. 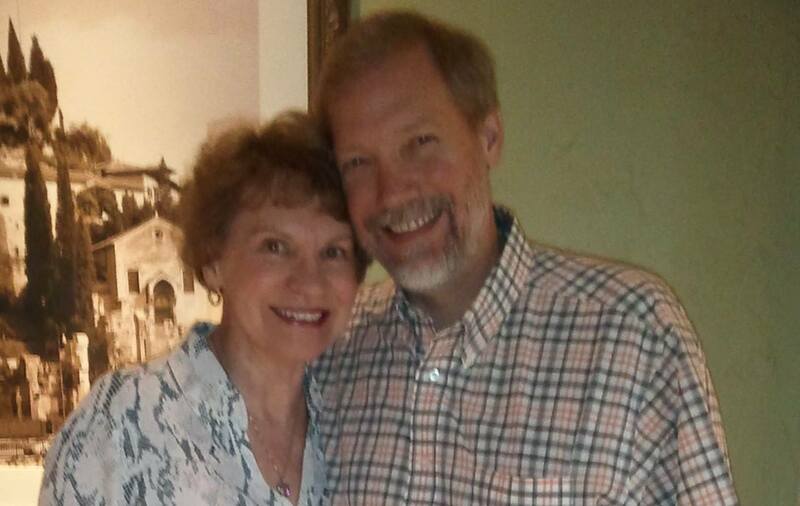 David Lewis is the co-author (with his wife, Beverly Lewis) of the bestselling Sanctuary. Coming Home is his first solo novel. An accomplished keyboard artist and piano teacher, was born in Minnesota and raised in the Midwest. He co-wrote the bestseller Sanctuary with his wife Beverly. They make their home in the foothills of the Rocky Mountains enjoying their three grown children and one grandchild.